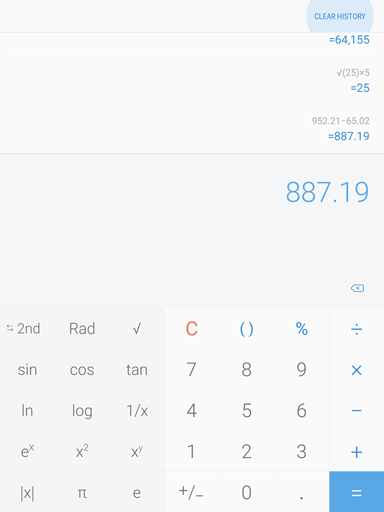 How to use the calculator and its advanced functions on my Galaxy Tab S3? 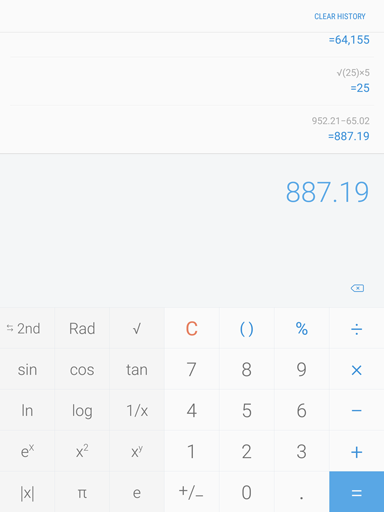 You can perform simple or advanced calculations with the Calculator, a preinstalled app on your tablet. Note: The provided information refers to the devices sold in Canada. Screens and settings available may vary depending on your Canadian wireless service provider and your software version. 4. To clear the history, touch CLEAR HISTORY. 5. To clear the results and start over, touch the Clear icon .